Of all the traditionally conservative Americans who do not feel aligned with President Trump, the Republicans of Utah may be the most distant from the man who radically changed the GOP. Many Utah conservatives, especially those of the LDS faith, claim that President Trump does not represent their values. Even when his opinions randomly align with conservative orthodoxy, Trump is a direct affront to some of Mormonism’s most deeply cherished values. He is crude, flashy, promiscuous and not particularly religious. His relationship to traditional conservative policies is tenuous at best — Trump is much more of an opportunist than an ideologue. Even though Trump still won the state of Utah, his margins were far less overwhelming compared to other Republican candidates in previous presidential elections. In fact, Trump did not even win a majority of Utah’s vote — Mitt Romney, on the other hand, won 72% of the vote in 2012. The frustration many Utahns feel towards Trump is a strange source of hope in a time when Trump’s values have taken over the GOP. It would be foolish to assume that angered Republican voters will switch allegiance to the Democratic Party, but on the surface, this trend does suggest that Trump’s behavior has provoked a moral allergic reaction. However, a new poll from The Salt Lake Tribune and the Hinckley Institute of Politics illustrated one disturbing similarity between conservative Utahns and the President. This poll found that conservative voters in the state were much less likely to support the #MeToo movement as opposed to liberal voters, which Trump himself has openly derided. Only 2% of respondents who called themselves “very conservative” had a “very favorable” opinion of #MeToo, while 57% of “very liberal” people had the same response. Ultimately, political affiliation was incredibly influential in a person’s response to #MeToo. When Utah conservatives side with Trump’s response to the #MeToo movement, they silently condone his most repugnant behavior. 19 women have accused President Trump of sexual misconduct, and he infamously bragged about sexual assault on tape. Both the Republican establishment and the millions of Americans who support Trump have been unwilling to seriously address these allegations — even as many powerful men in various industries have lost their jobs over verdicts of sexual misconduct. When Utah conservatives voted for Trump in spite of these allegations — and when they reject the movement that could harm powerful men like him — they reveal a dangerously limited ethical perspective. They may hold their nose or express disdain at Trump’s immorality, but they refuse to actually reject the most problematic aspects of his presidency. Perhaps Utah conservatives and Trump are not so different after all. Conservatives continue to uphold the patriarchal systems that allow men to evade accountability while women are demonized. Men like Trump reach the highest echelons of power and women are further marginalized. The cycle continues, while half of the country is unwilling to defend a woman’s right to live and work without fear of abuse and dehumanization. Supporting victims of sexual assault does not have to be a partisan issue. Fighting sexual harassment has little to do with lowering taxes or shrinking the government. The fact that so many conservatives would think otherwise shows that Trump’s influence on American conservatism is deep and insidious. Utah is no stranger to accusations of sexual misconduct. Some of the state’s most powerful institutions have been accused of sexism and harassment. 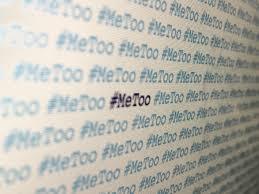 The #MeToo movement has great potential to enact lasting social change throughout the country. However, if the most powerful political ideology in Utah rejects this progress at face value, Utah’s women will suffer the dire consequences. “Dehumanization,” is the perfect description of what women have felt for most of recorded time. You’ve summarized the polarity of Utahns’ acceptance of the president’s unacceptable behavior!